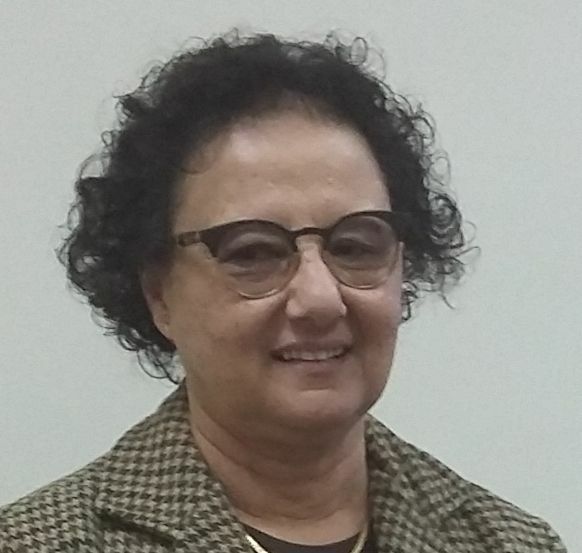 Prof. JoAnn Cassar is Full Professor and Head of the Department of Conservation and Built Heritage within the Faculty for the Built Environment, University of Malta. She is also a member of the Board of Directors of Heritage Malta, the National Agency for museums, conservation practice and cultural heritage. She is a Fellow of the International Institute for Conservation (FIIC), Fellow of the Geological Society (FGS), Chartered Chemist and Fellow of the Royal Society of Chemistry (CChem FRSC). Prof. Cassar has been carrying out research on stone characterization, deterioration and conservation for over thirty years, has lectured widely in foreign universities, and has given numerous presentations at international conferences in many different countries. She has over seventy scientific publications on conservation-related topics to her name, and is the co-editor of seven books. Cassar J and Standing J R 2017, “Geomaterials: aggregates, building stone and earthworks: papers from 50 years of QJEGH”, Quarterly Journal of Engineering Geology and Hydrogeology, vol. Thematic set: QJEGH 50th Anniversary Review Paper, no. Online first, pp. http://qjegh.lyellcollection.org/content/early/2017/03/18/qjegh2016-101.full.pdf+html. Dreyfuss, T., Cassar, J. 2017, Onsite Testing of Ammonium Oxalate Treatment Applied to Historical Salt-Infested Limestone, David Publishing Co., Inc.
Zammit, G. & Cassar, J. 2017, “Investigating possible correlations between the porosimetry and insoluble residue content of Malta’s Lower Globigerina Limestone”, Bulletin of Engineering Geology and the Environment, vol. 76, no. 1, pp. 59. Becherini, F., Cassar, J., Galea, M. & Bernardi, A. 2016, “Evaluation of the Shelters over the Prehistoric Megalithic Temples of Malta: Environmental Considerations”, Environmental Earth Sciences, vol. 75, no. 14. Cassar, J. 2016, “Climate Change and Archaeological Sites: Adaptation Strategies”, Edipuglia, Italy, pp. 119. Cassar, J. 2015, “The Historic and Archaeological Heritage: Pollution and Non-Urban Sites” in Urban Pollution and Changes to Materials and Building Surfaces, ed. Brimblecombe. P., 2nd ed. edn, Imperial College Press, U.K., pp. 255-290. Weyer, A., Roig Picazo, P., Pop, D., Cassar, J., Ozkose, A., Vallet J-M., and Srsa, I, (ed) 2015, EwaGlos – European Illustrated Glossary of Conservation Terms for Wall Paintings and Architectural Surfaces, 1st ed. edn, Michael Imhof Verlag, Germany. Cassar J., Grima, R. (Eds) 2014, Approaches to Industrial Heritage. What works, The Farsons Foundation. University of Malta, Malta. Cassar, J., Winter, M.G., Marker, B.R., Walton, N.R.G., Entwisle, D.C. & Bromhead, E. N. and Smith, J. W. N. (eds) (eds) 2014, SP391 Stone in Historic Buildings: Characterization and Performance, Geological Society, London. Cassar, J., Winter, M.G., Marker, B.R., Bromhead, E.N., Smith, J.W.N., Toll, D.G., Walton, N.R.G., Entwisle, D.C. & and Dijkstra, T.A. “Introduction to the Stone Cycle and the Conservation of Historic Buildings”, Quarterly Journal of Engineering Geology and Hydrogeology, November 2013, v. 46, p. 363-366, First published on November 7, 2013, . Cassar, J., Galea, M., Grima, R., Stroud, K. & Torpiano, A. 2011, “Shelters over the Megalithic Temples of Malta: debate, design and implementation”, Environmental Earth Sciences Special Issue DOI: 10.1007/s12665-010-0735-8.i, .